rocky's bru: Why the pussyfooting, Rafizi? Wed, 18/12/13 - Tan Sri Gani Patail, the Attorney-General, more or less says it h e r e: he hasn't a foreign bank account, not in Hong Kong nor anywhere else in this world. "No need for (Rafizi) to trouble himself. What he needs to do now is just come and meet me and I will issue the authorisation letter to facilitate him in checking my accounts in Hong Kong, if there is one," (Gani) said when met by reporters after he delivered a talk entitled "The Security Offences (Special Measures) Act 2012 (SOSMA)" here today. He said Hong Kong also had a similar set up like Companies Commission of Malaysia (SSM) and Rafizi could carry out the search without much hassle. "If there is one (bank account), its must be a miracle." Rafizi Ramli says he is not stupid but after his latest antics on the alleged wrongdoing of the Attorney General, I'm not taking his word for it. Yesterday, the PKR strategic director bragged about turning over Gani Patail, the AG, to the ICAC as if the Hong Kong graft busters come under his boss Anwar Ibrahim's personal ambit. But today, after the AG told Rafizi he may look at his accounts in HK or anywhere in the world, Rafizi is suddenly not so gung-ho. 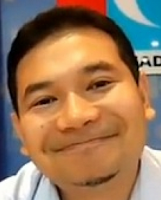 I suspect Rafizi has just found out that Gani may actually not have any foreign bank account, unlike some people do. It could also have something to do with the AG's promise to take legal action against those accusing him of treason, ie deliberately losing Pulau Batu Putih to Singapore at the ICJ in 2007 in exchange for money. Either way, it is clear that Rafizi, despite his bravado, isn't ready not to face the music if in the end there's no wrong-doing on the part of the AG. Read the article by fz.com (the same one in which Rafizi declares "I am not stupid" and "I don't want to be used as a pawn to clear [Gani's] name' -- Rafizi IS preparing to pass the buck to Shafee Abdullah or/and Mat Zain already! Shafee: Me apologize to AG? Howzat again? Rafizi also said that if after the scrutiny, there was no misconduct found, lawyer Tan Sri Shafee Abdullah will have to apologise over his comments. Mat Zain in his statutory declaration claimed Abdul Gani had deliberately lost Malaysia's attempt to claim Batu Puteh against Singapore in the 2007 case before ICJ. 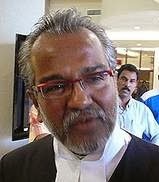 (Mat Zain) quoted Shafee's statement that money was transferred to Abdul Gani’s accounts in Hong Kong to lose the case. Shafee however has denied the statement. "Either way, it is clear that Rafizi, despite his bravado, isn't ready not to face the music if in the end there's no wrong-doing on the part of the AG." If he "isn't ready not to face the music", then, errrr, logically he's ready to face the music. I suspect there is one hell of a hidden orchestra behind this whole Gani-Shafee-Zain thingy. Musically speaking. only Allah knows what is in their mind. that what u people do always, right. Not having a foreign bank account now doesn't mean there was no foreign bank account in the past; in this case, at the point the alleged funds were remitted. The banks in Hong Kong or anywhere else, upon directed to reveal whether a person maintains an an account could reply that there is currently no account in their books. If the account was closed say in 2006, details of the closed account may not be available anymore; being more than seven years. And if illegal funds of a massive amount were given, it is really an unwise man (or woman) who is honest enough to present his or her actual identification documents, knowing well that it is a personal risk to him/her. Rafizi Ramli = si Doraemon Maharaja Lawak. Apalagi lawak-lawak yang dia boleh keluarkan dari poket ajaib dia tu? Dia ni PKR's version of KJ. Iklan je lebih, filem takde. Nanti Dato' Siti tegur, baru tahu padan muka. I learned from my dear teacher that backbiting and calumny is a major sin that is punishable with hellfire. Such enormities damage people's reputations and seriously repercussions in their public and private relationships for a long time afterwards. The only expiation for such grievous misdemeanours is a thoroughgoing repentance known as tawbah nasuha. By now the funds are nestling in the belly of a cayman, I reckon.